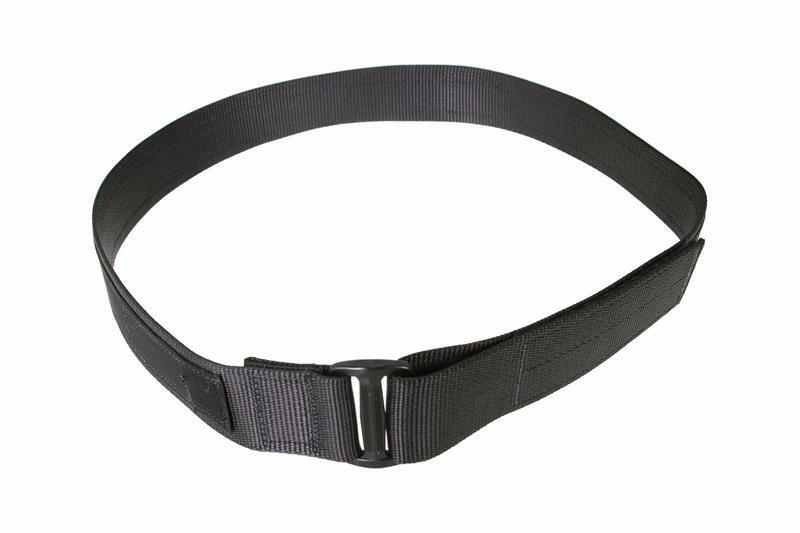 Select Size Medium 30-35" Large 35"-40" X-Large 40"-45"
The Uber Liner Belt is constructed with 1.5” wide all black resign impregnated webbing, for increased stiffness. We use laser cut low profile male Velcro®. This removes the possibility of your liner belt sticking to/chaffing your shirt, when not in use with the outer belt. How to determine your belt size: the 215 Gear™ belt sizes are determined, in inches, by the inner circumference of the belt. At the largest size there is a 6 inch overlap to prevent it from feeding back through the buckle. To determine your size we recommend you put on the clothing and or equipment you will wear the belt with and measure through the belt loops all the way around. If you are using this belt with a concealed weapon holster consider that for sizing as well. Small fits 25" -30" waist.